After the usual seemingly endless, inevitably damp and windy Cornish winter, Spring is always a welcome relief. Often heralded in by the Easter break, Spring is a time of lightening evenings, warmer (sometimes drier) weather and the sights and sounds of Cornwall waking up. 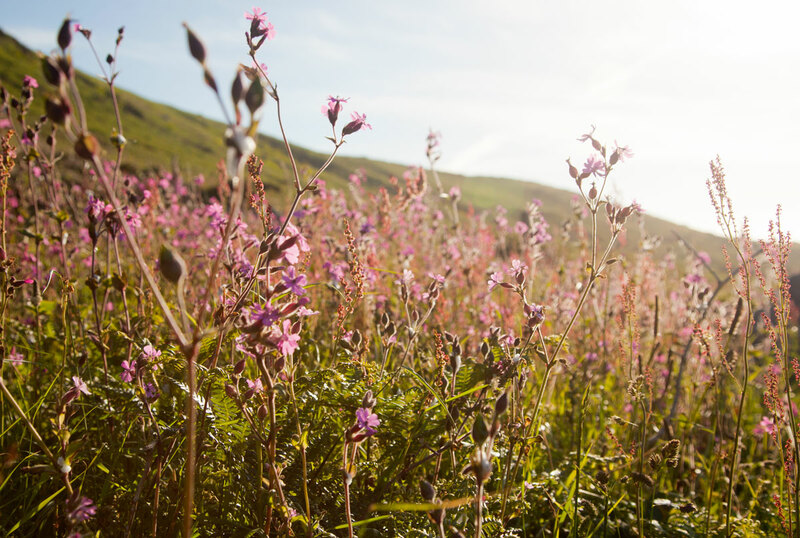 It isn't just the birds singing and bees buzzing but Cornwall itself seems to come out of hibernation as the springtime kicks in. 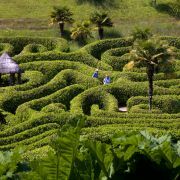 So without further ado lets have a look at the Cornwall Guide's top ideas for all the family as we head into this glorious season. Whilst it is true that you can walk the coast path any time of year I personally prefer the spring. In the winter the sea and sky may be dramatic, often a little too dramatic, but the main hazard is mud with sections becoming something of a quagmire. Summer is great, if you don't mind saying 'hello' every 2 minutes whilst you decide who steps out of the way. Nope, for me it is the spring with its ideal walking weather, quiet paths and abundance of cliff-top flowers. 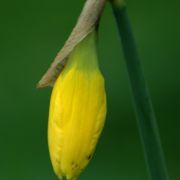 In Cornwall spring starts early with daffodils popping up not long after Christmas. By April things are in full swing with the hedgerows taken over by the white flowers of wild garlic and bluebells. 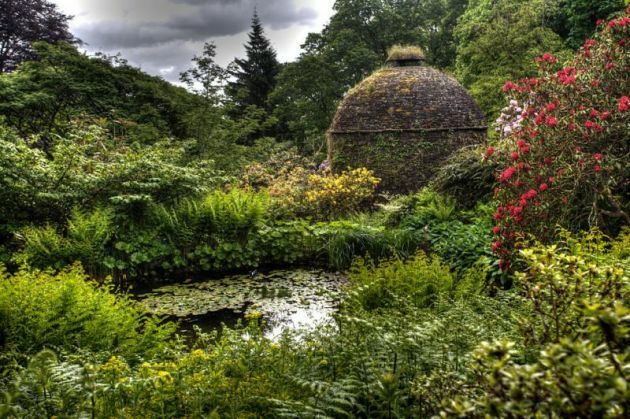 As nature wakes up so does Cornwall's array of amazing gardens and this is an opportunity to see them at their very best. Much of the sub-tropical foliage is year-round but it is the explosion of colour that marks the start of spring and nothing is more symbolic of this than the blooming of the Magnolia campbellii champion trees found in seven of the great Cornish gardens. This can happen as early as mid-March and is followed soon after by the rhododendrons and camellias. By this time many indigenous species will be making their presence known with the woodlands and shady corners carpeted in wildflowers. Everybody knows that you go surfing in the summer, right? Well, actually, if you want the best waves, no. While summer is definitely warmer and you might even get away with a thinner wetsuit and no booties, the waves are often a little lacking - as in not there! OK, so there are a few good days every summer, and sometimes this even coincides with blue skies - but on the downside there are likely to be about a million people chasing the same wave on every kind of surfcraft imaginable. 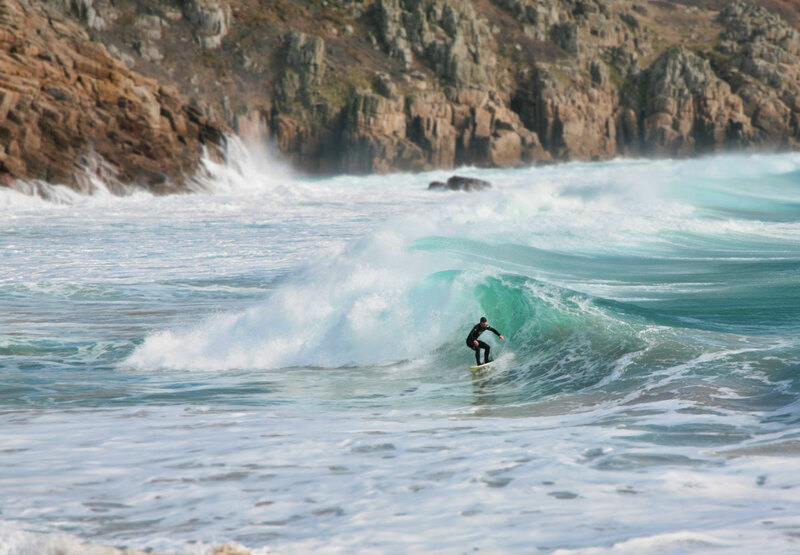 Spring on the other hand is the perfect compromise between the tiny waves of summer and the often massive winter swells. Solid, long range swells track across the Atlantic often to be met by a stiff offshore breeze. Combine these perfect conditions with lighter evenings and no crowds and you can see why spring is best for surf. 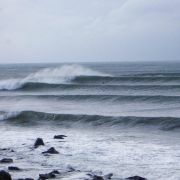 The only negative is the water is still a bit on the chilly side, but we think it's a fair trade for crisp, powerful and uncrowded Cornish waves. Perhaps nothing is quite so emblematic of spring as the shimmering carpet of deep blue that adorns our woodlands at this time of year. The bluebell (also known as the "wild hyacinth" [Hyacinthoides non-scripta]) spends most of the year underground as a bulb only to emerge in a beautiful display from the middle of April onwards. 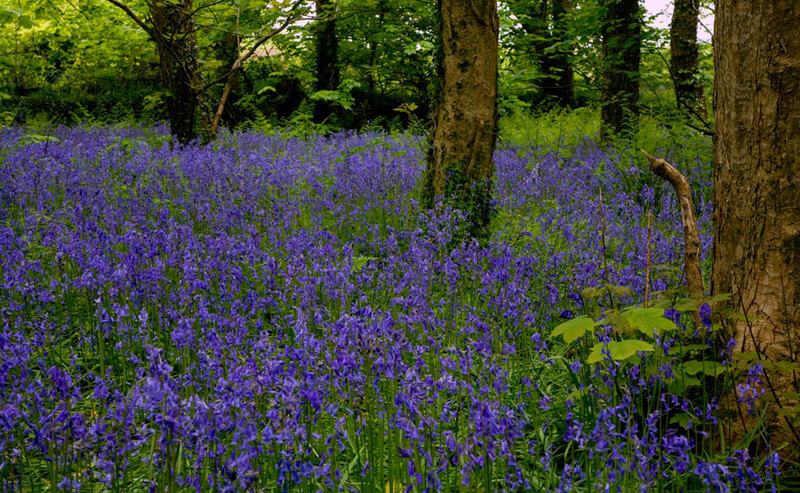 In Cornwall the bluebells generally reach their peak at the end of April / beginning of May. Those of us who live in Britain may take these pretty little flowers for granted, but it is a fact that more than half the World's population of bluebells reside in the UK. It is true you can see bluebells in woodland throughout the country but we like to think our Cornish bluebells are extra special! 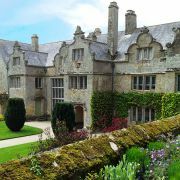 Among the best places to see bluebells in Cornwall are National Trust properties such as Antony, Lanhydrock and Godolphin. They are also plenty growing in woodlands like St Loyes, Tehidy and Luxulyan. My personal favourite though is Enys Gardens near Penryn. After spending the winter in the dry dock the Scillies ferry, the Scillonian III, is ready for a busy season lugging passengers between Penzance and St Mary's. Now, you can get over the the Scilly Isles throughout the year by air, although this is still subject to the whim of the Cornish weather. But would you really want to commit yourself to staying on the Isles of Scilly in the middle of winter with the potential of being stranded by a winter storm with, frankly, not too many indoor entertainment options. 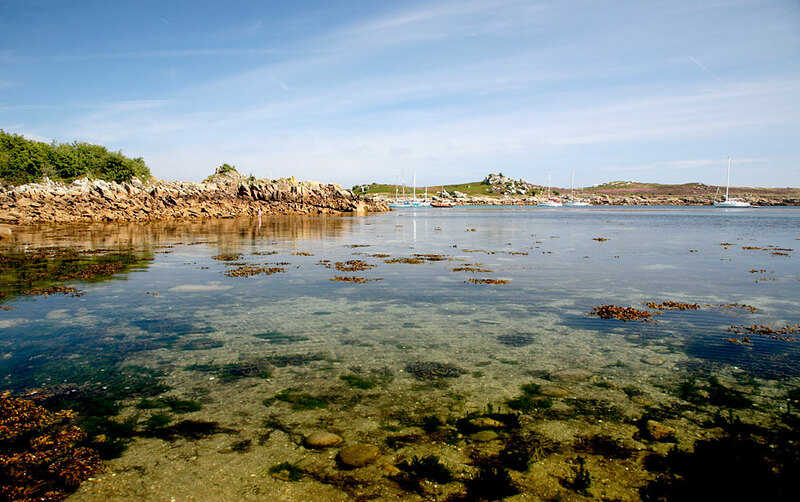 Don't get me wrong, the Scillies in winter can be perfection, but it is one of those places best experienced when the weather is good. Roll on spring and things start picking up on the islands; with the change in season come the birds, followed by the birdwatchers. It is also when the World Pilot Gig Championships take place on Scilly with thousands of visitors watching teams from around the world race it out between the islands. Nearly all of Cornwall's best and most popular beaches have some kind of seasonal restriction on dogs. This can be good news for families without dogs but as any dog owner can tell you, pooches love beaches - especially the wide expanses of golden sand we have here in Cornwall. But all is not lost; there is a brief window where the weather is warming up and the dog ban hasn't come into effect. Unfortunately when exactly and how long this window is depends on the vagaries of the ecumenical calendar, i.e. when Easter day falls. It seems dog bans on Cornwall's beaches start from either 1st of May or Easter Day and finish on 30th September, which means a late Easter is good news for dogs. On most of West Cornwall's beaches the ban comes into effect on May 1st with North Cornwall, the Lizard and Falmouth imposing the earlier option. The good news is that there are still some great year round dog friendly beaches for you and Rover to enjoy. With the onset of spring comes a veritable explosion of festivities. Some of these date back 100s of years and have their roots in pagan rites celebrating the season itself. Of the relative newcomers, a good few have now become established classics in the Cornwall events calendar. 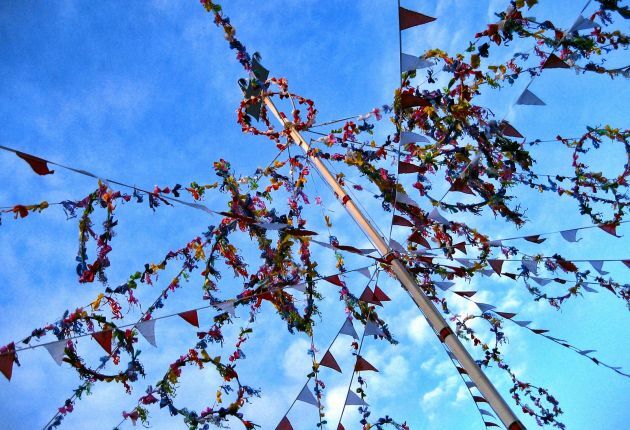 Just to name a few of the better know events held in spring there are; Trevithick Day, Porthleven Food Festival, Obby Oss, World Pilot Gig Championships, Furry/Flora Day, Daphne du Maurier Lit Festival, Fal River Festival, Royal Cornwall Show and a host of smaller fairs, fetes, country shows and competitions held throughout the county. Golowan Festival can be relied on to be the last (but not least) of the spring events, falling on the solstice, or last day of spring. 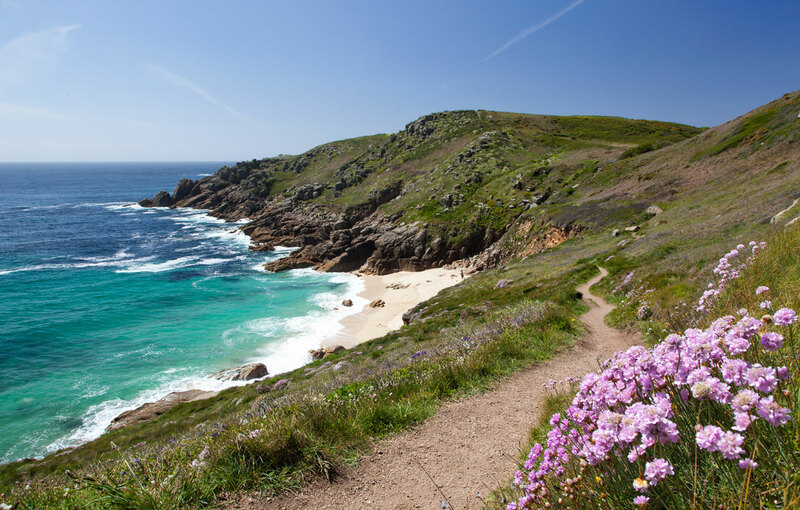 If you are one of the UK's 5 million National Trust members then you can't do much better than Cornwall in the spring. Many of the top recommendations in this article have a considerable overlap with the NT. 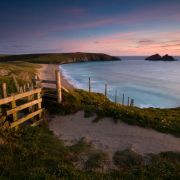 As well as owning many of Cornwall's finest country estates the Trust also manage swathes of Cornwall's most beautiful coastline and stunning countryside. Think woodland nature walks, stately homes (almost) to yourself and enjoying some of the finest gardens in the country at their very best. 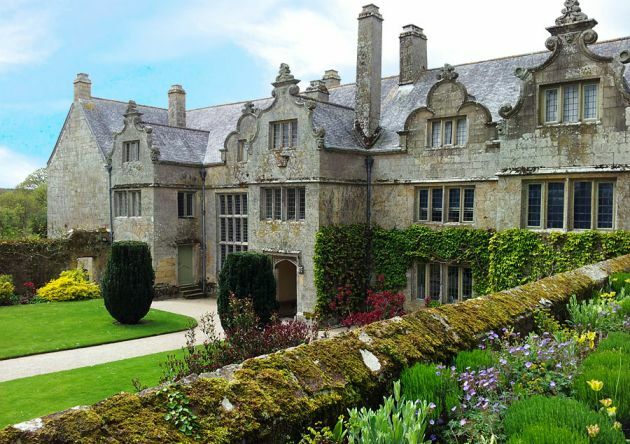 So, what's not to like about free parking and admission to any number of Cornish treasures?! Once spring really sets in you can't help but notice the sound of birds singing, the buzz of insects and an explosion of green throughout the countryside. As we mentioned above, probably the easiest of these spring spectacles to check out are the bluebells which carpet our woodlands. But look (and listen) a little harder and you will be rewarded with some of Cornwall's most iconic and endearing wildlife. 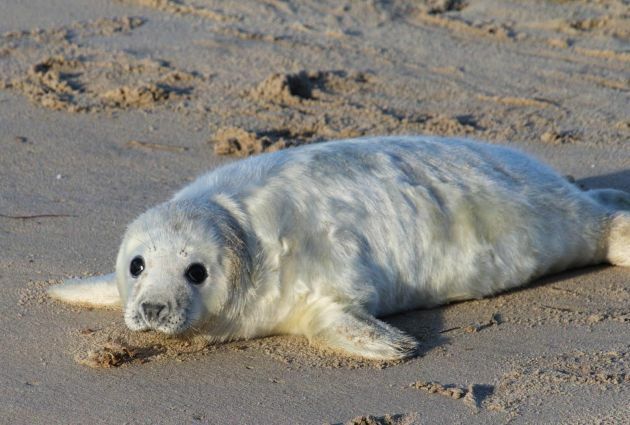 Spring can be a great time for spotting some of our marine mammals. Dolphins, porpoises and grey seals are present off our coasts all year but it is much easier to spot them once the weather calms down and things begin to warm up. If you are lucky and time it right (very early spring) you may even spot seal pups - the top spot for this is Mutton Cove, just around from Godrevy. And it's not just on the coast that wildlife can be spotted in the spring. Migratory birds such as the cuckoo also begin to return for the summer, along with the usual crop of rare exotic visitors which seem to wind up on our shores. Butterflies, dragonflies and damselflies all begin to appear, as do common lizards, emerging from their winter hibernation. Just because the temperature is a few degrees colder than it is in the summer shouldn't be a reason to stop you visiting in the spring. 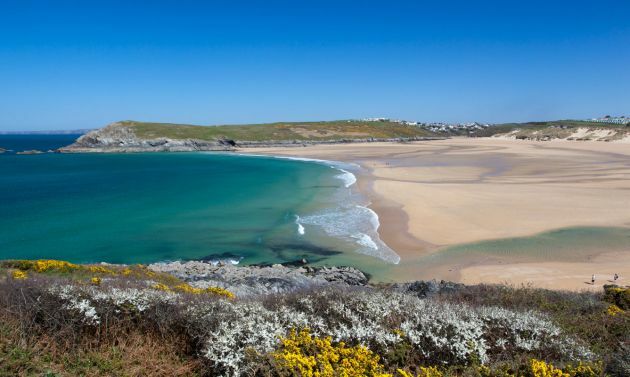 In fact, while it may feel a bit fresher it is often the sunniest time of year in Cornwall. May is my personal favourite and looking through my photos this seems to be when I have been out and about most, capturing the beautiful Cornish scenery and not getting caught up in the summer crowds. So, even if you don't fancy any of the suggestions above this is still a great time of year to visit Cornwall.